Liverpool haven’t utilized the winter transfer window yet. The Transfer Window is about to end and we have barely heard from Liverpool up till now about any transfer news. Liverpool boss Brendan Rodgers is very keen to buy quality players this winter. The fans are also disappointed up till now due to the fact that he isn’t able to bring a quality player to Liverpool. The current season for Liverpool isn’t a good one. They aren’t performing up to their caliber. Daniel Sturridge was one of the reason why Liverpool performed so well the last season. Without Sturridge, Liverpool looked a different outfit. He was a natural finisher and he provided focal point. Fabio Borini and Rickie Lambart didn’t perform well and they aren’t looking good either. This is a main reason of concern for Brendan Rodgers at the moment. 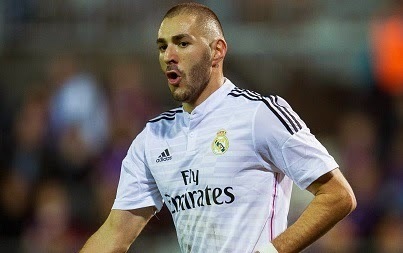 According to the Metro, Liverpool want to sign Real Madrid striker Striker Karim Benzema. They want to get him by all means. But to tempt Madrid, they need to place a bid close to 38 million pounds. Karim Benzema, the French International has scored 25 goals in his international outfit and has scored 125 times in his 264 appearances for Real Madrid.